REVOLUTION was only the beginning! Once the dust settles on Revolution, IDW’s groundbreaking event series that catapulted a new comic book universe into existence, heroes and villains will rise from the ashes to form new alliances and take on even greater challenges in this brave new comic world. A G.I. Joe, a man of action, and a few Cybertronians thrown in for good measure, will form the basis of a team unlike any ever conceived before. 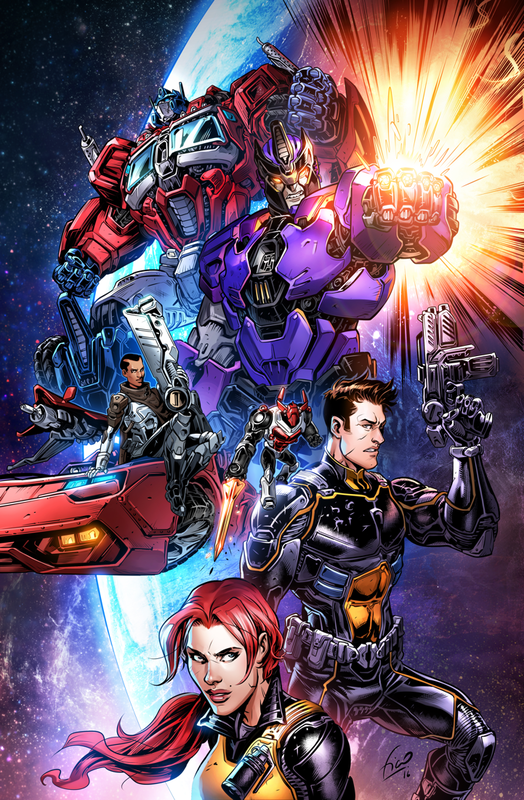 REVOLUTIONARIES, the latest addition to the first wave of post-Revolution titles, will further explore and shape the fledgling comic universe which encompasses TRANSFORMERS, G.I. JOE, ROM, MICRONAUTS, ACTION MAN, and M.A.S.K. : MOBILE ARMORED STRIKE KOMMAND. This series will reunite Revolution writer John Barber and artist Fico Ossio and will team characters from every corner of this action-packed series, showcasing a full slate of mind-blowing guest stars, including both old favorites and exciting new additions. In addition to the regular players of Action Man, Blackrock (Transformers), Mayday (G.I. Joe), and Kup (Transformers), Revolutionaries will feature a rotating cast of teammates, opening the door for dream team-ups from issue to issue. These Revolutionaries will band together over the course of the unraveling central storyline, a mysterious plot, that serves as the backbone throughout the series. Join the REVOLUTION on September 14 when the debut issue arrives and prepare for the next stage of evolution with REVOLUTIONARIES this December.